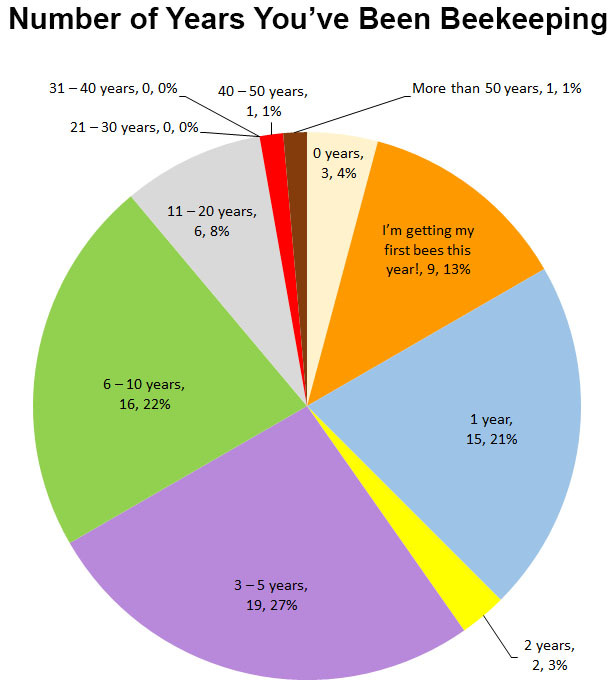 In an effort to get to know each other better, last month we conducted a survey asking everyone how long they have been a beekeeper. Seventy two people responded to the survey. Of those who responded, 27 people (38%) have been beekeepers for one year or less and 35 people (49%) have been beekeeping for 3-10 years. A chart showing the complete breakdown of survey responses can be found below. Thank you to everyone who participated.